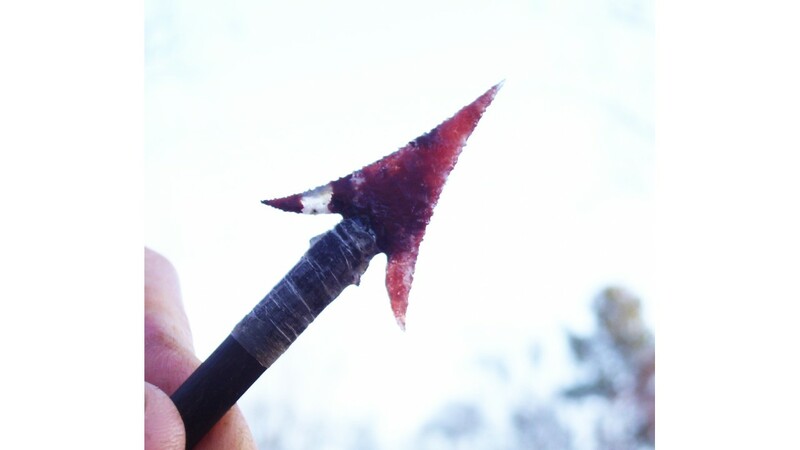 This beautiful arrow is a replica of an authentic Chinook arrow from the Columbia River area between Oregon and Washington State. The main shaft is made of split western red cedar that's been rounded and smoothed. 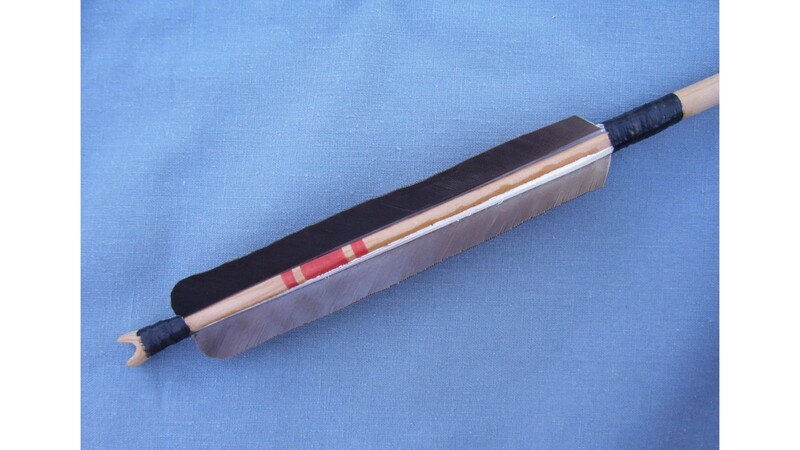 It's fletched with Canada Goose wing feathers that are secured on both ends with deer sinew and the fletch is glued with hide glue. 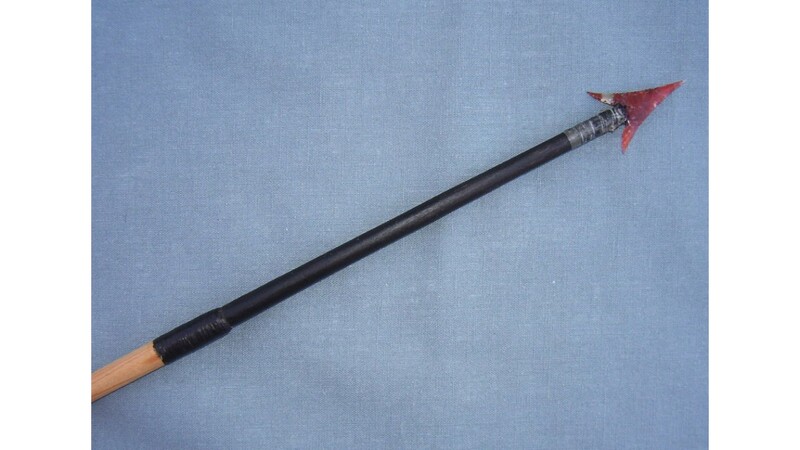 The front of the shaft is also wrapped with sinew and the end was drilled so a foreshaft can be inserted. 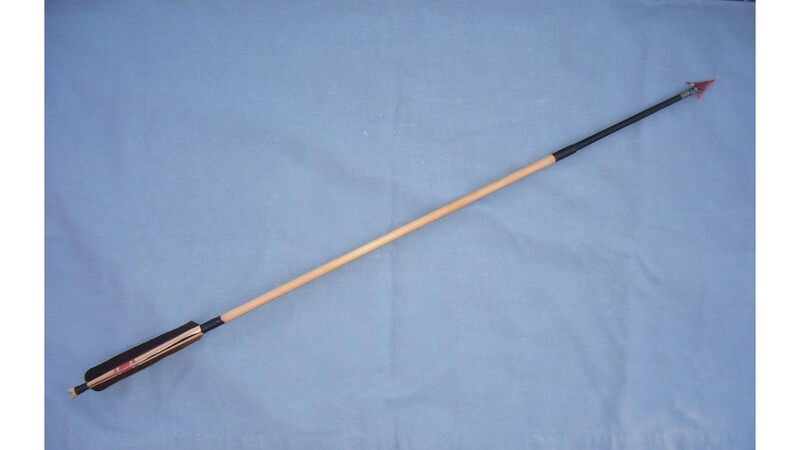 The foreshaft is made of dogwood that's been painted black. It's tipped with a stunningly beautiful and VERY finely made sweep-wing arrow point of translucent agate secured to the tip with pine sap glue and deer sinew. It's finely serrated with very sharp edges and beautiful symmetry. These beautiful points are commonly found along the Columbia River and are called gem points because they were often exquisitely made of colorful semi-precious agate, jasper, and other colorful stone. These points are highly sought after by collectors and intact, unbroken examples command very high prices. 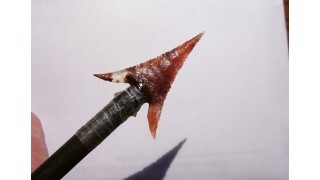 This arrow is a beautiful example of the type used by the Chinook and surrounding Columbia River tribes.